Resurrection Revealed podcast episode #37. We share a very special episode, featuring the audio from a presentation that Jason Mott (author of The Returned) did, in Chicago, promoting his great new novel, The Wonder of All things. This is a very special Jason Mott-centric episode of the podcast. 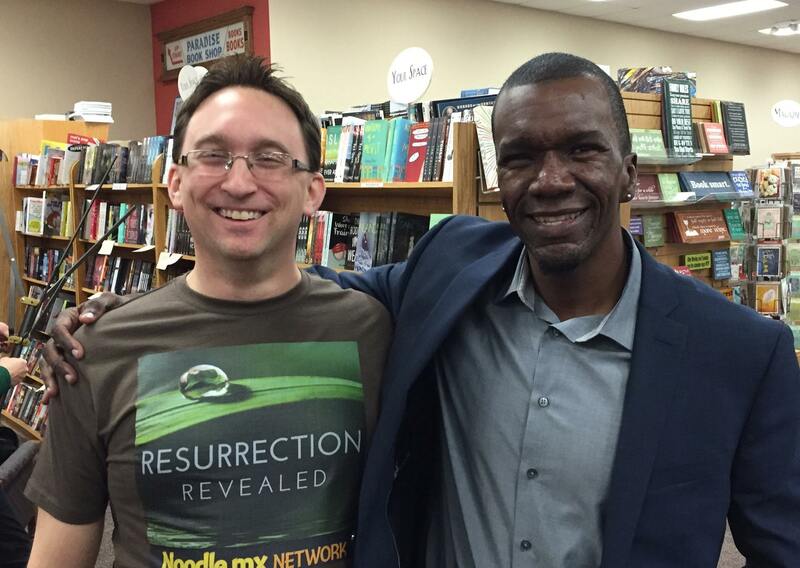 Jason Mott was kind to allow us permission to share this audio of his book tour stop in Chicago. Jason talks about his roots as a poetry writer. Jason shares the story of his dream about his mom at the kitchen table. Jason talks about his involvement with ‘Resurrection’. Jason reads an excerpt from the opening Chapter of All Things. Purchase Jason’s books at Resurrectionrevealed.com/book. You can also hear our Resurrection Revealed interview with Jason Mott, from season 1, at ResurrectionRevealed.com/20.